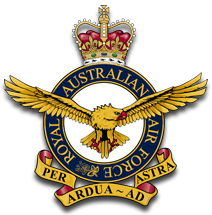 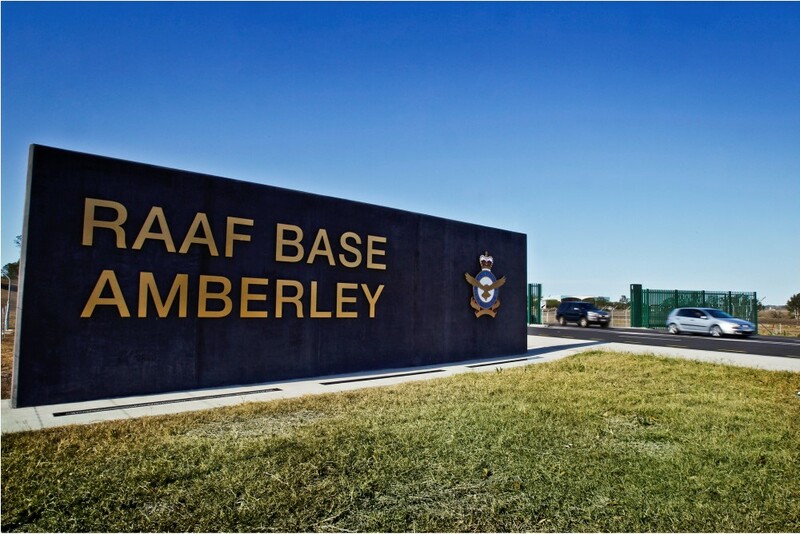 Lang O’Rourke were contracted to build the new facilities for the pilot training school at RAAF East Sale. 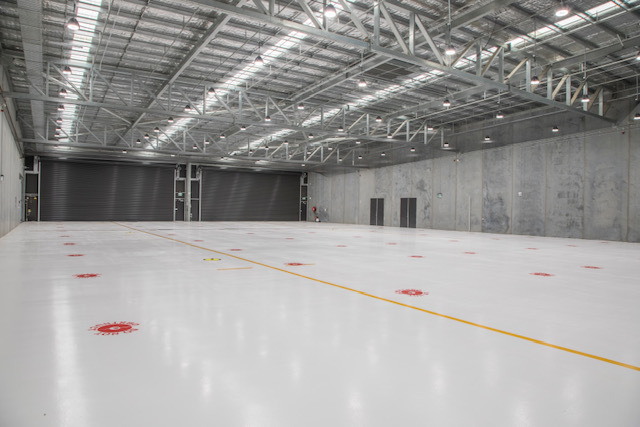 The $200 million development would include new hangars and maintenance workshops, classrooms and training facilities, flight simulators and live-in accommodation for 105 junior officers. 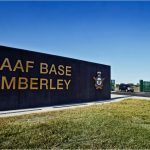 From 2019, basic pilot training for all army, navy and air force pilots will take place at RAAF Base East Sale utilising this new facility. 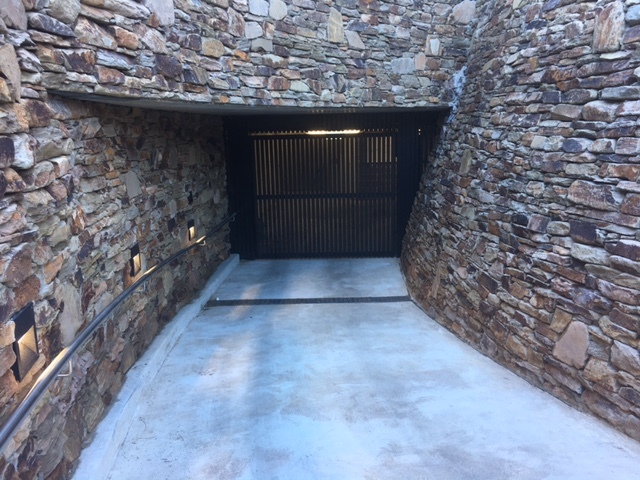 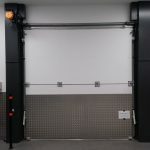 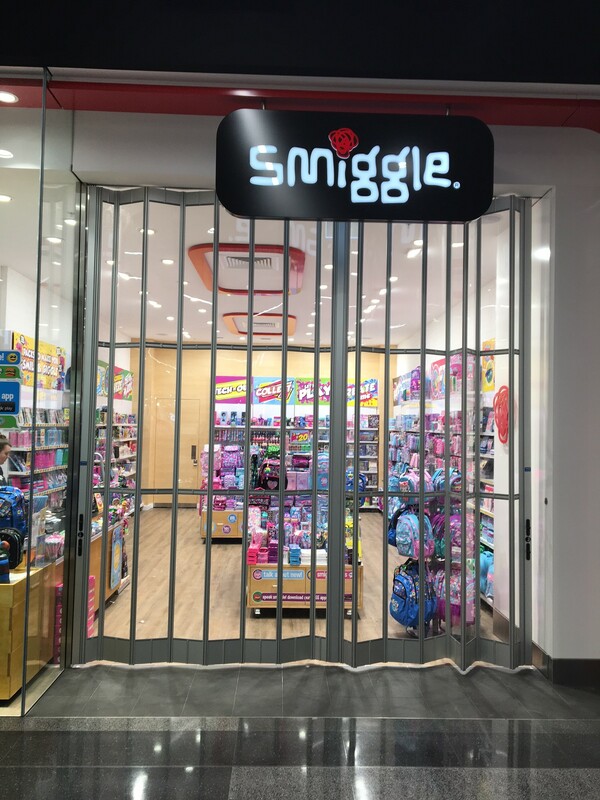 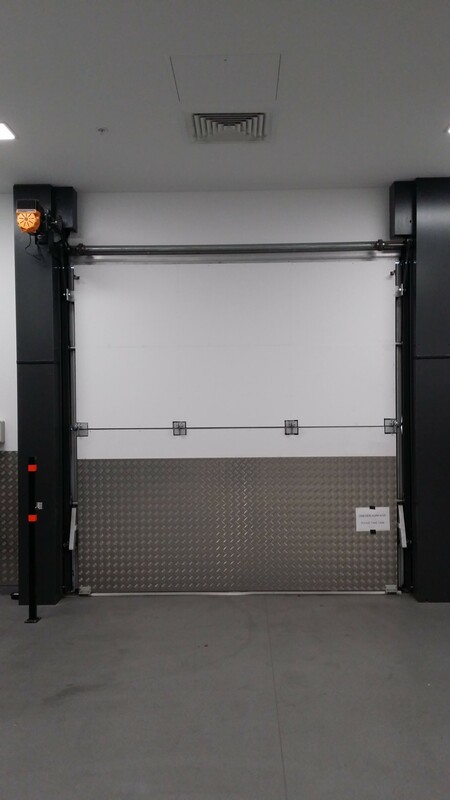 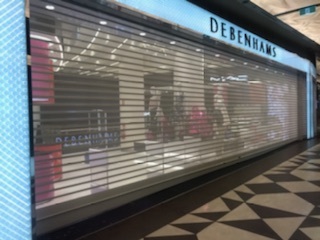 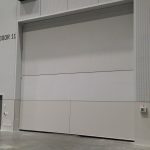 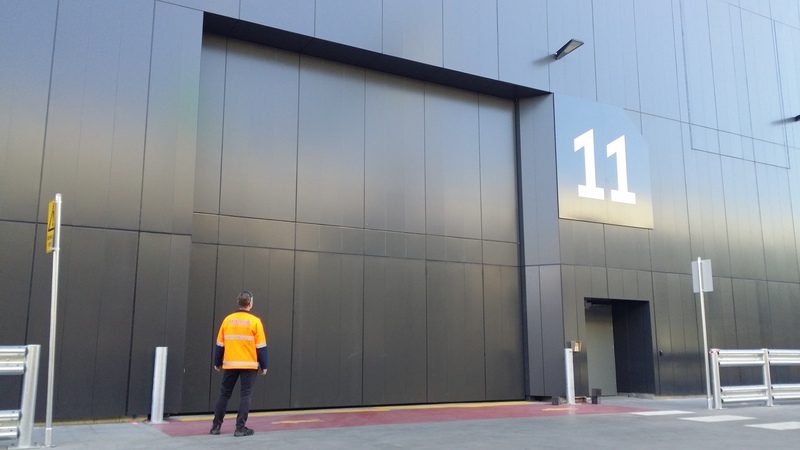 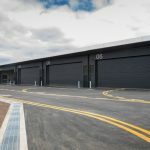 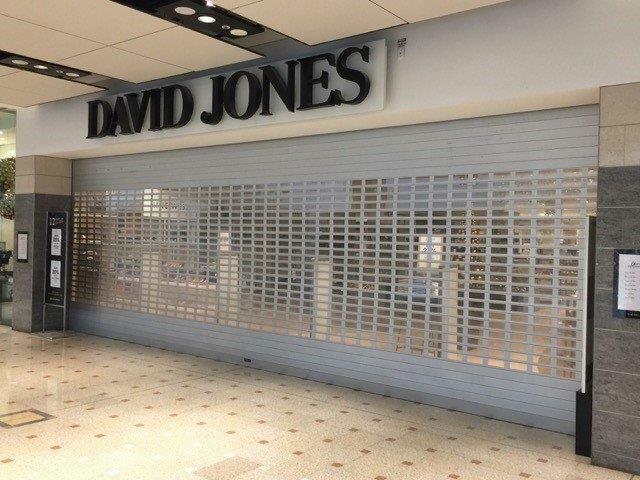 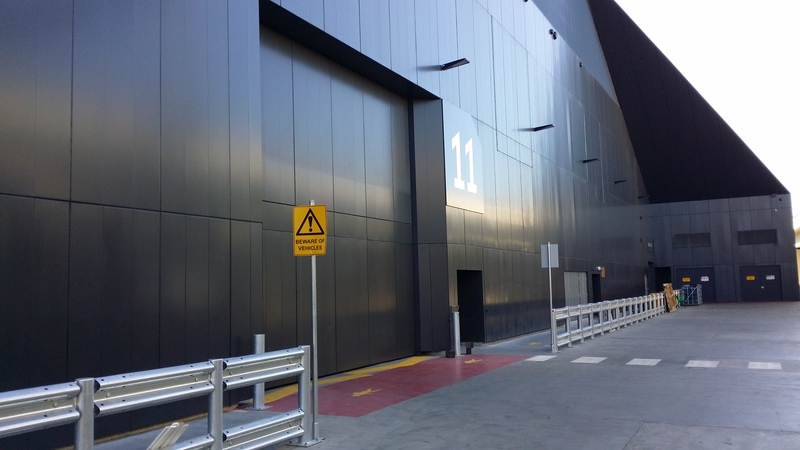 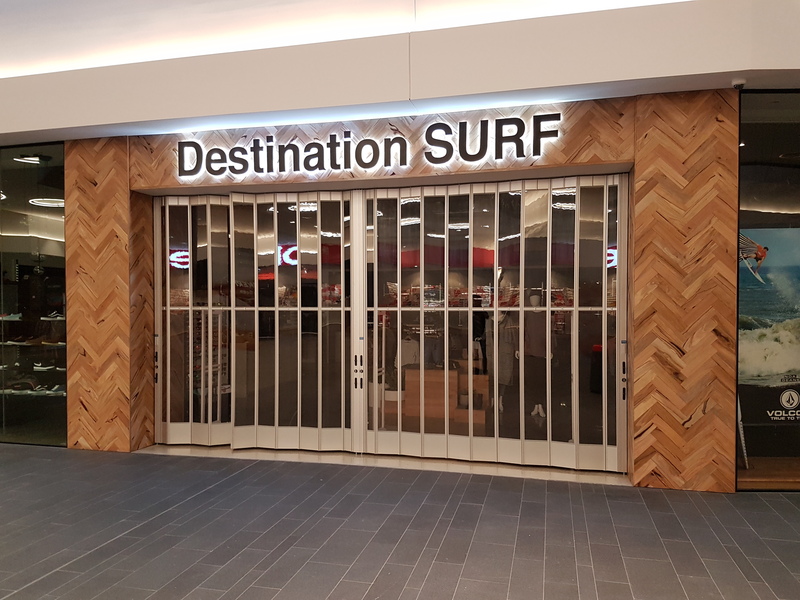 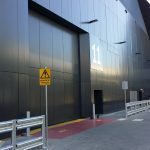 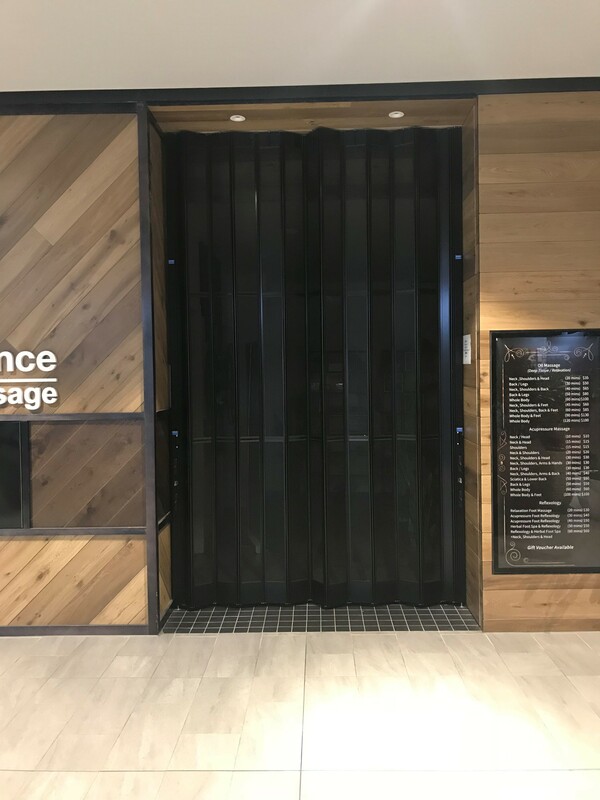 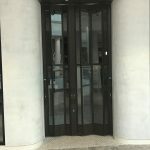 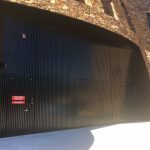 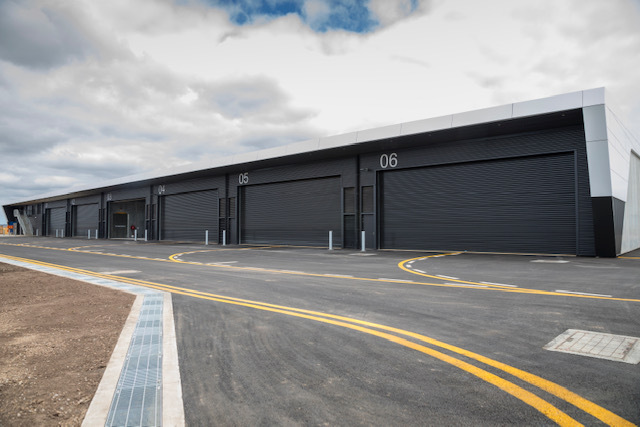 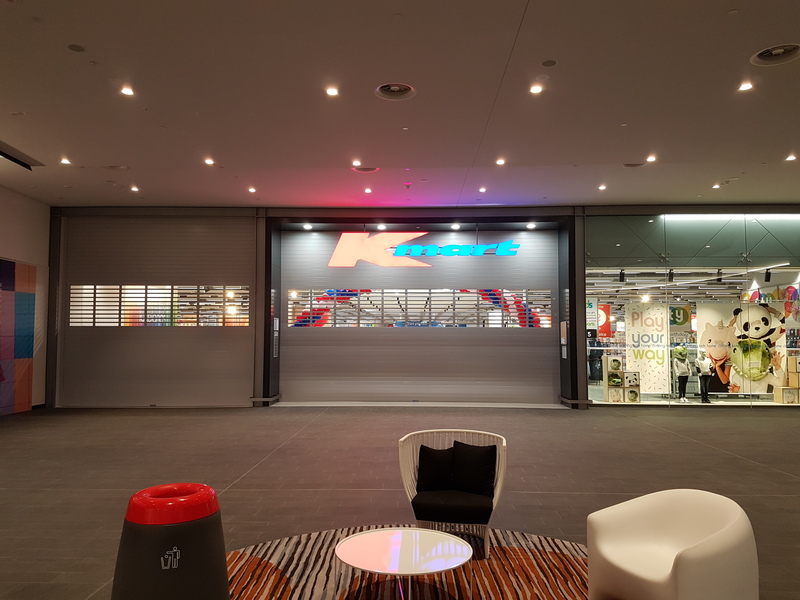 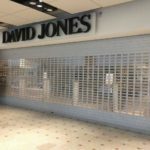 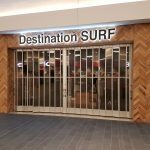 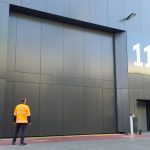 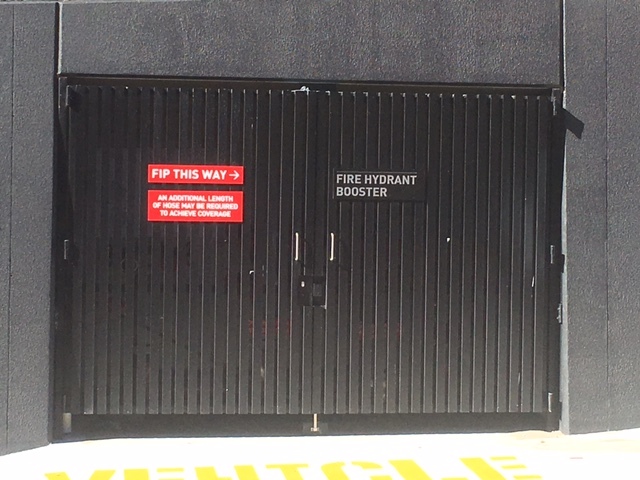 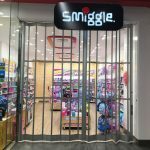 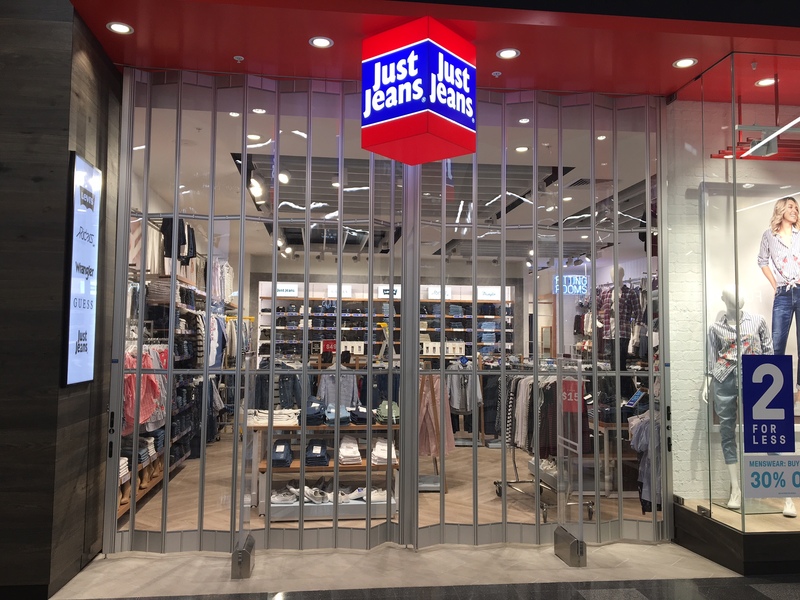 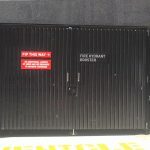 Mirage Doors were contracted to supply and install 11 Series 100 x 1.2 steel roller shutters (pictured) for the maintenance hangers that were 12.1M wide x 5.2M high to meet high wind load requirements and tie in to advanced fire suppression systems. 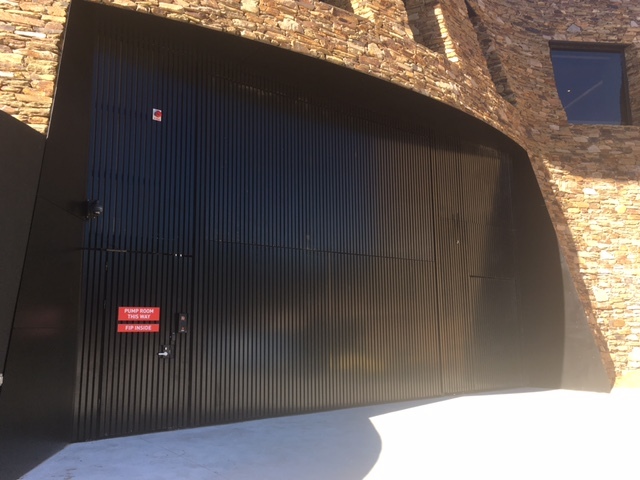 An additional 13 steel roller shutters were provided for storage areas and 8 Aluminium Series 1 roller shutters in the training facility. 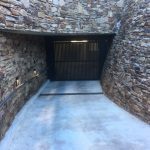 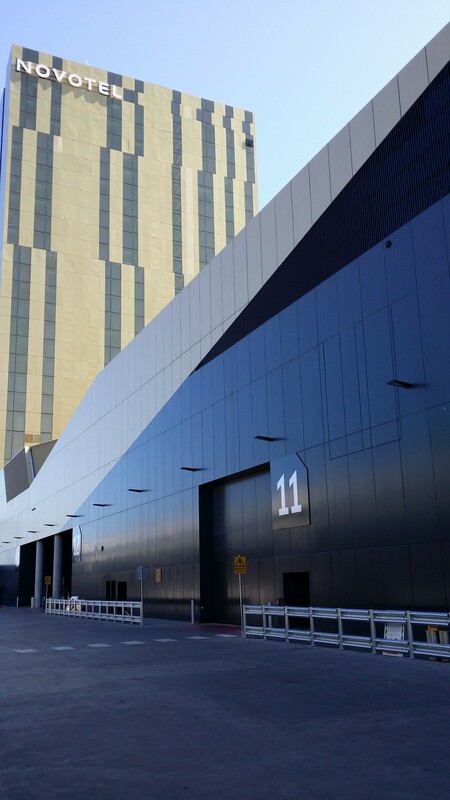 Mirage worked closely with LOR steel contractors to ensure adequate structural support for a successful project. 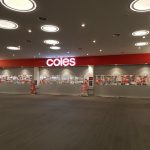 Co-owners Vicinity Centres and Perron Group unveiled the grand plans to transform the 50-year-old centre with the first stage of the $490 million project, the Fresh Food Market Hall, opening by the end of the year, followed by an 8000sq m David Jones, and a further 240 retailers covering 78,000sq m.
In this first stage Mirage Doors have been actively involved supplying predominantly SD products to meet the needs and designs of the new development. 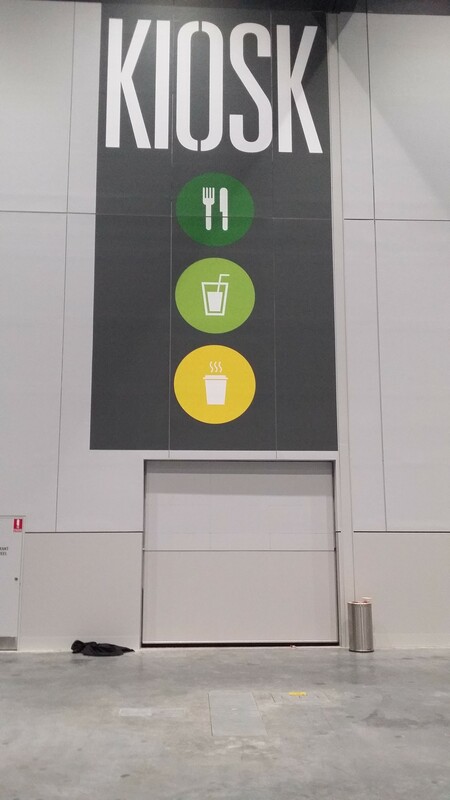 This has included both Glass, Polycarb, and solid infills. 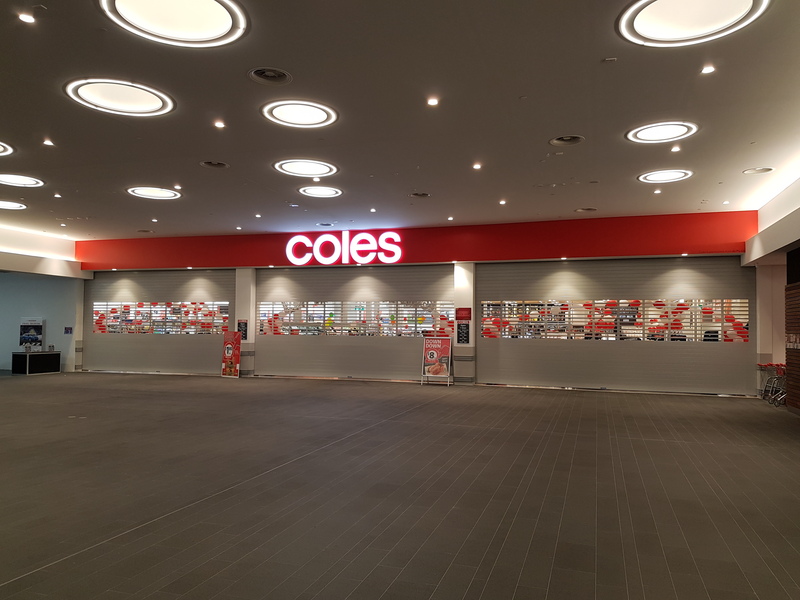 Developer Lend Lease announced in November 2017 a $400 million redevelopment of Sunshine Plaza located in Maroochydore Queensland. 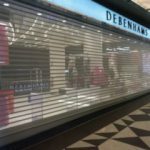 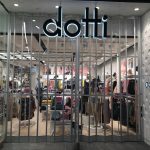 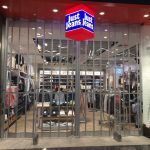 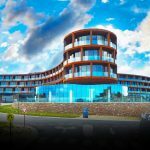 The highly anticipated redevelopment would expand the retail centre from 73,000 square meters to over 107,000 square meters. 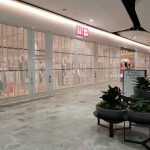 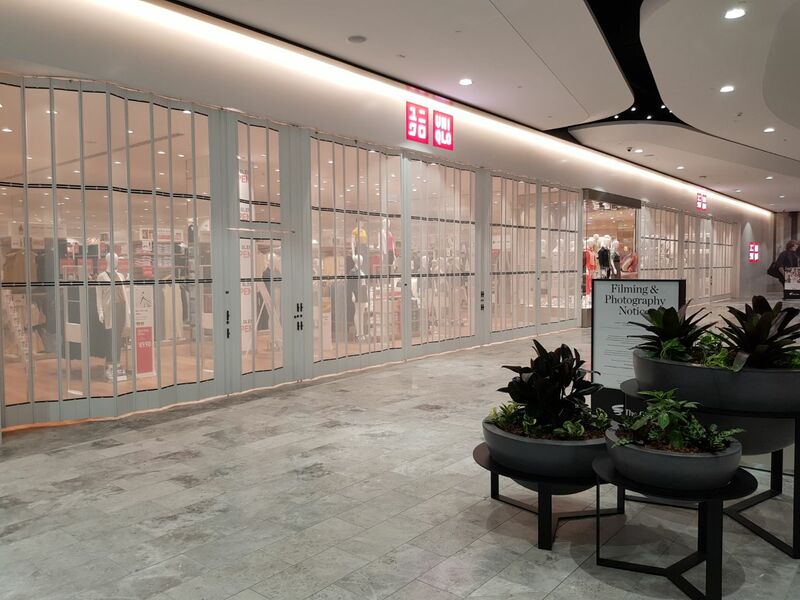 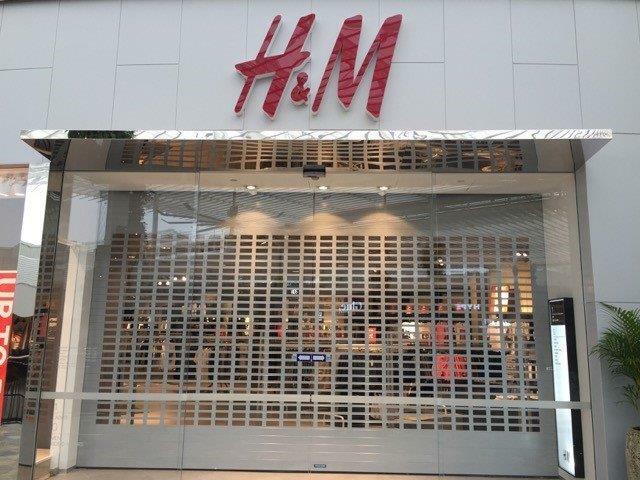 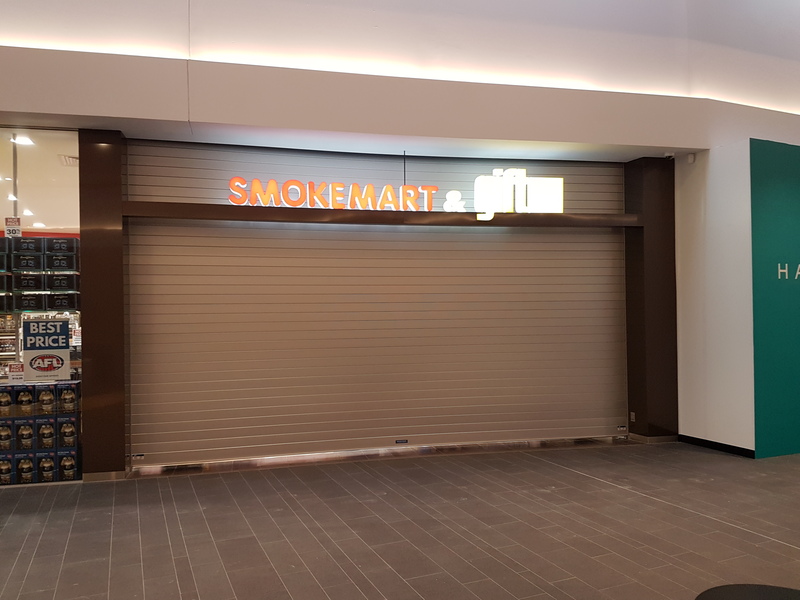 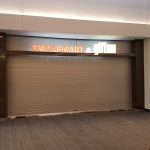 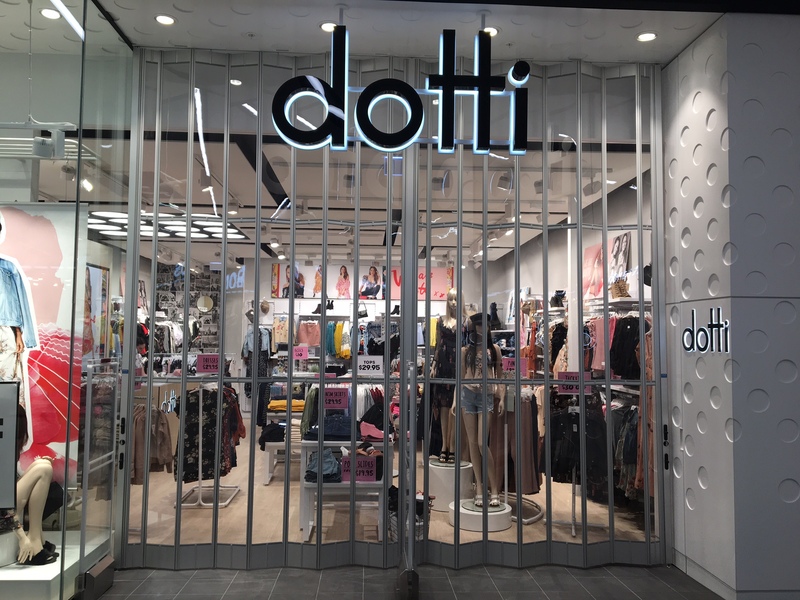 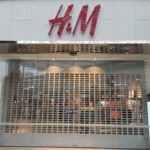 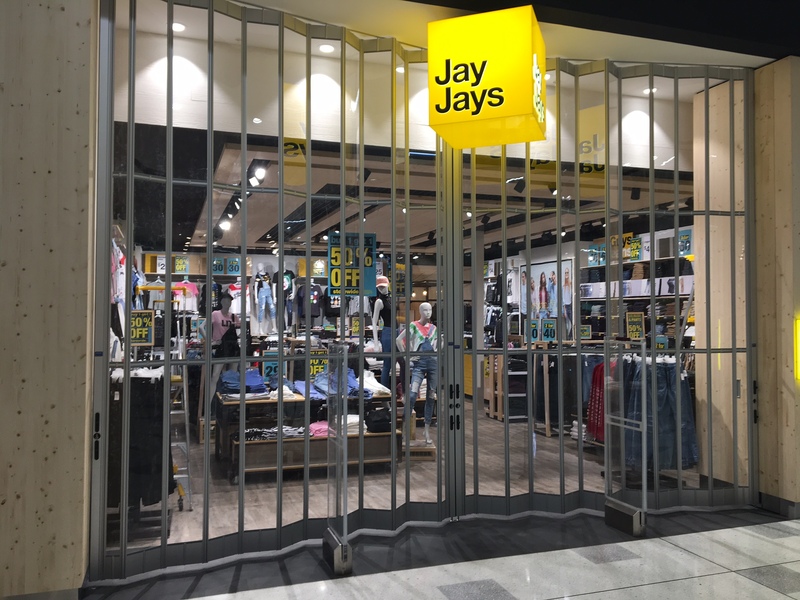 As works are still underway throughout the Sunshine Plaza Precinct, Mirage Doors will continue to be a dominating presence with ongoing works for retailers such as H & M and Mecca Maxima. 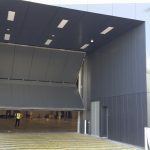 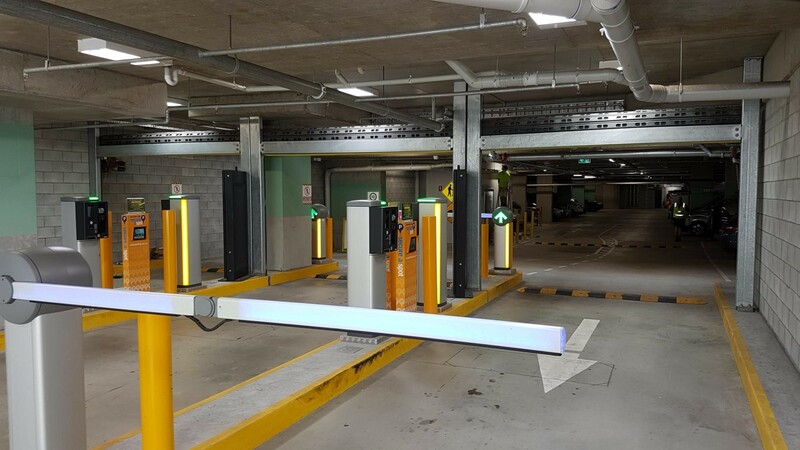 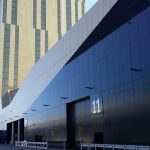 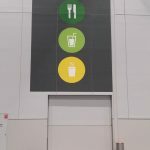 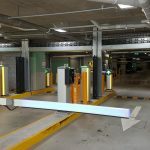 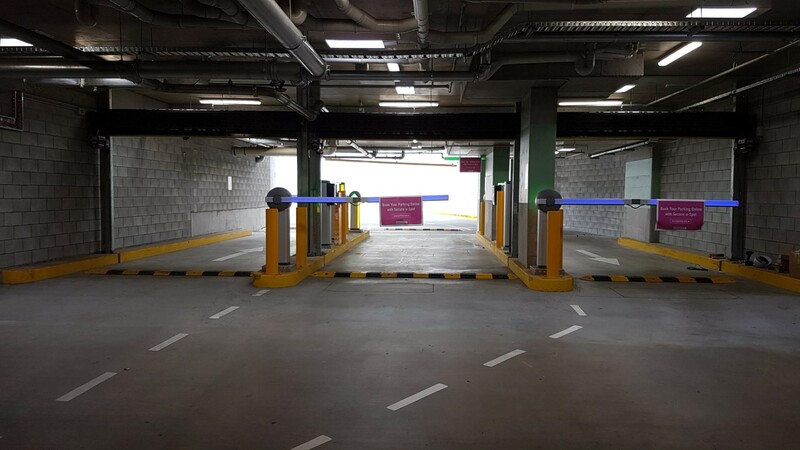 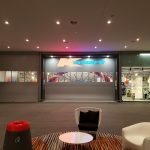 Probuild have constructed a $300 million expansion of Melbourne’s Convention and Exhibition Centre (MCEC), incorporating a hotel and multi-storey car park to the existing facilities. 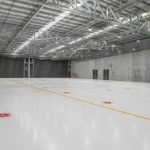 The 20,000m2 MCEC expansion integrates the existing spaces and includes an additional 9,000m2 of flexible expansion space. 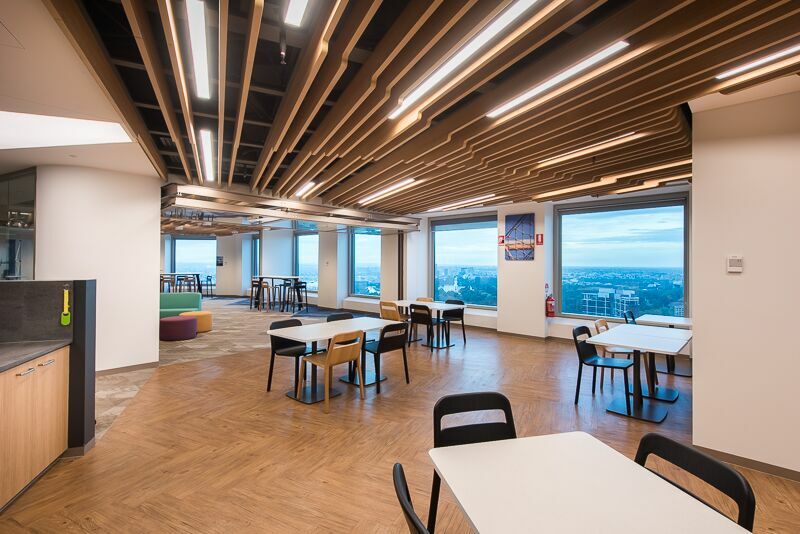 A multi-purpose space will have retractable seating for up to 1,100 people, service pods, meeting rooms and informal meeting spaces. 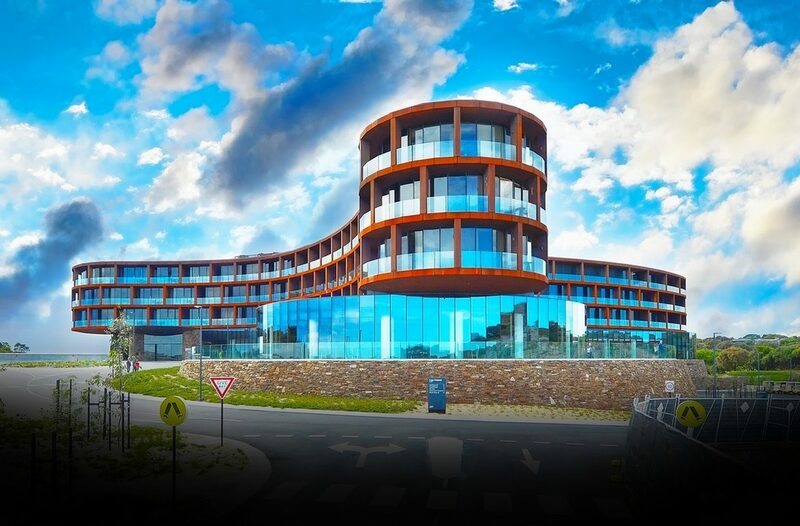 There will also be a large concourse and a banquet room with capacity to cater for up to 450 people. 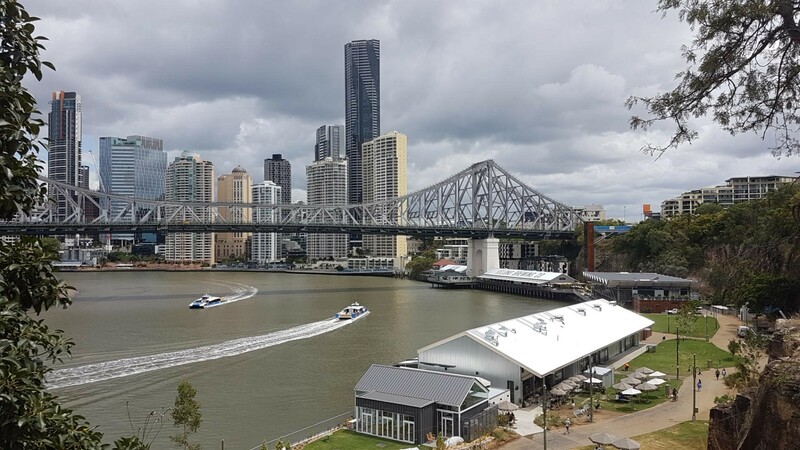 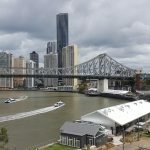 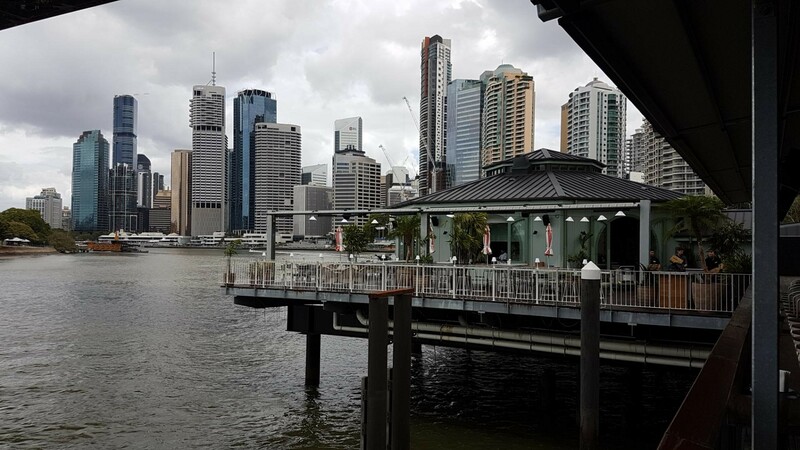 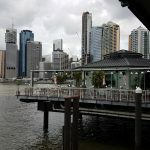 The 331-room hotel adds a new tier of accommodation to the precinct, complementing the existing Hilton South Wharf hotel. 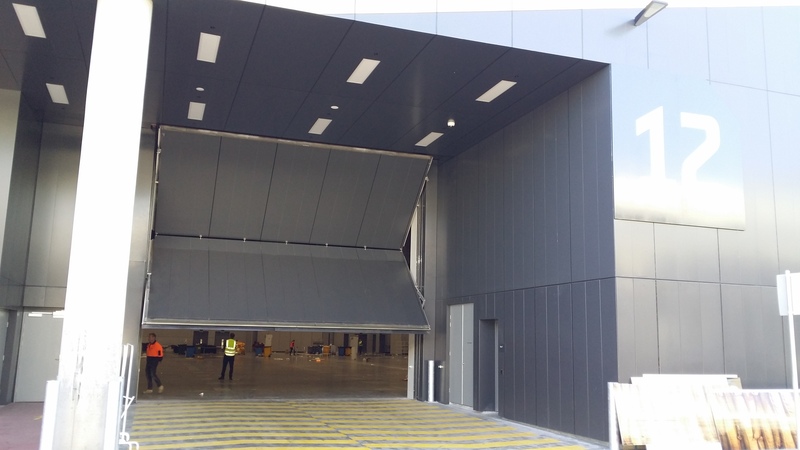 Mirage Doors were contracted to supply and install four large 6.0M x 6.5M Bifold counter weight doors, and 8 smaller 3M x 3M Bifold doors. 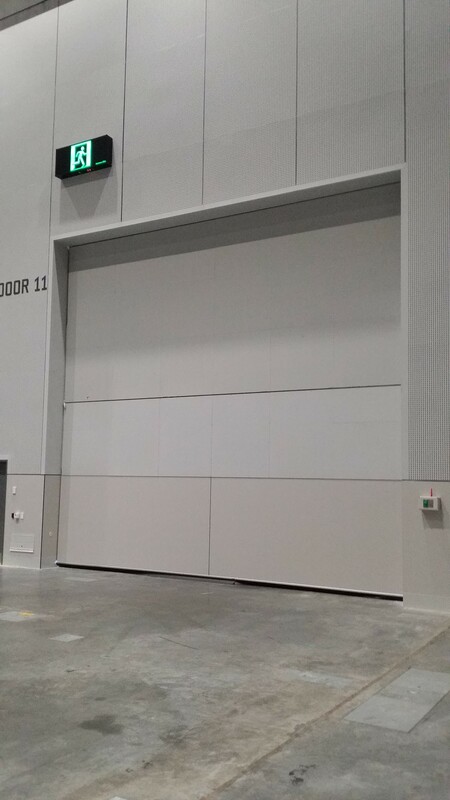 These doors were insulated and fully clad, with double side and bottom seals to minimise noise transfer. 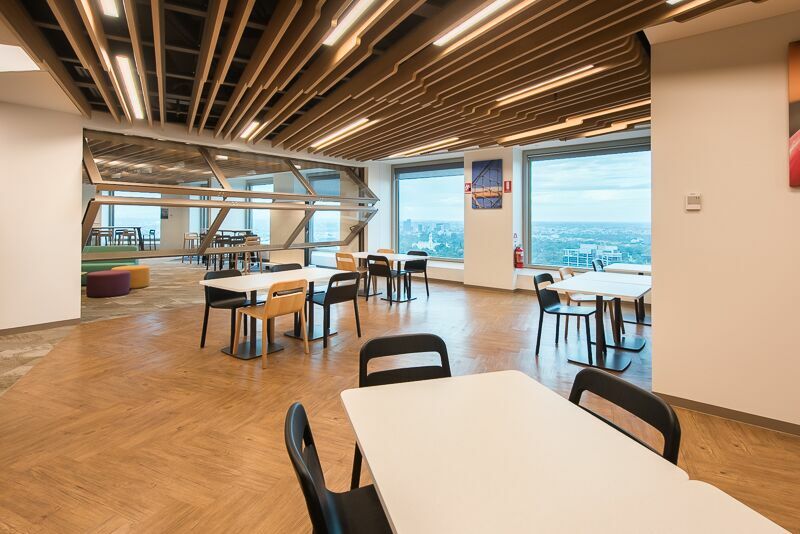 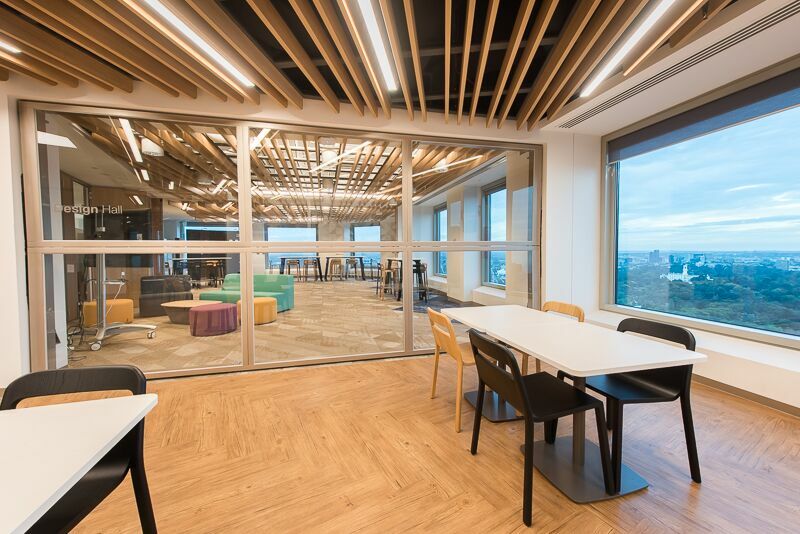 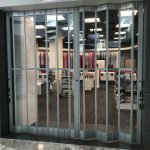 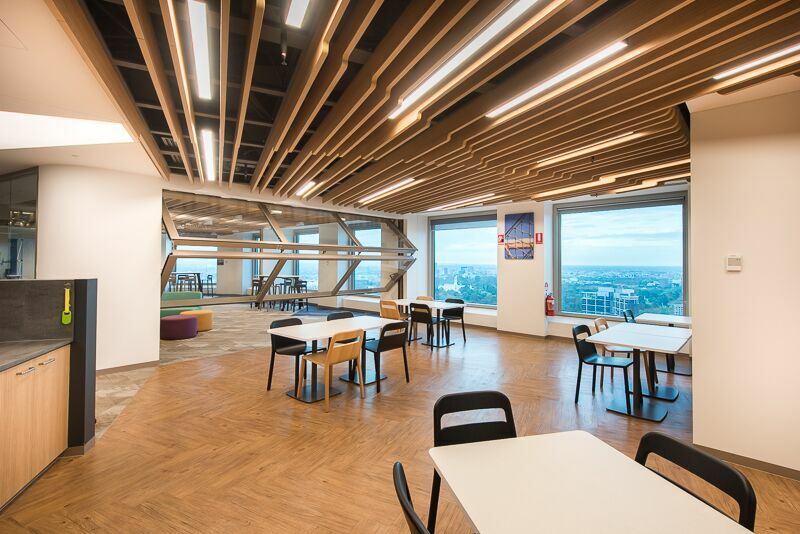 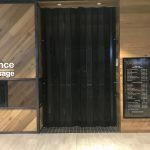 Mirage Doors was contracted by Brookfield Global on the upgrade of the IBM Tower Southbank multi-purpose office space, to provide a glazed moveable wall to separate the area’s when needed. 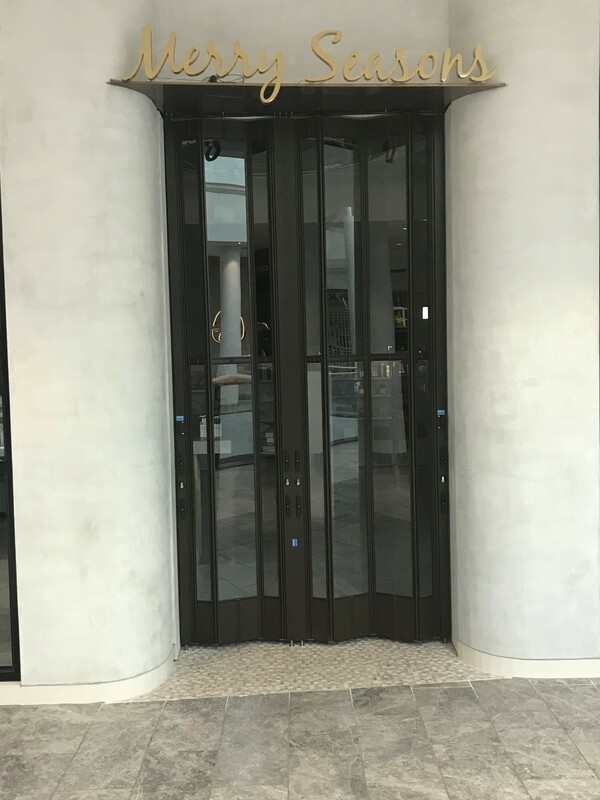 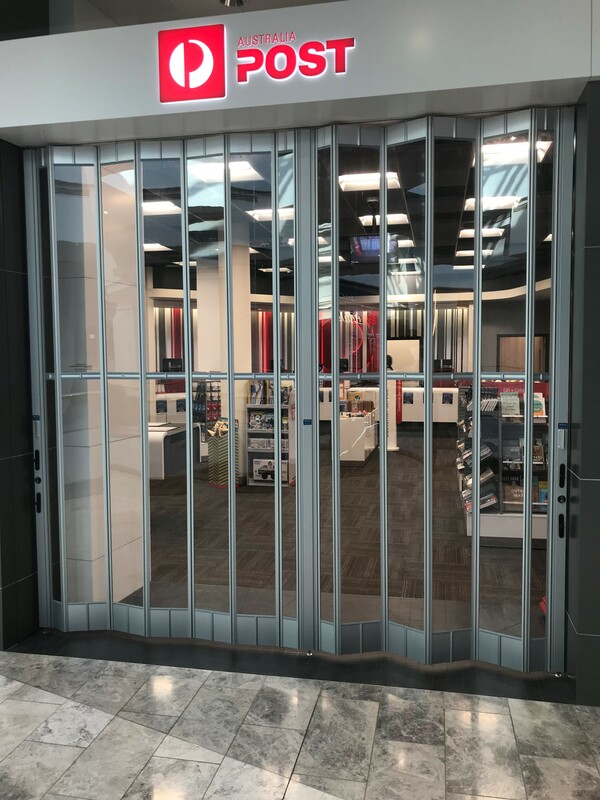 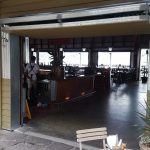 Mirage designed and installed a 6 meter wide x 2.7 meter glazed counter weighted bifold door, with side and bottom seals, that could divide or open the area at the push of a button. 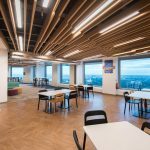 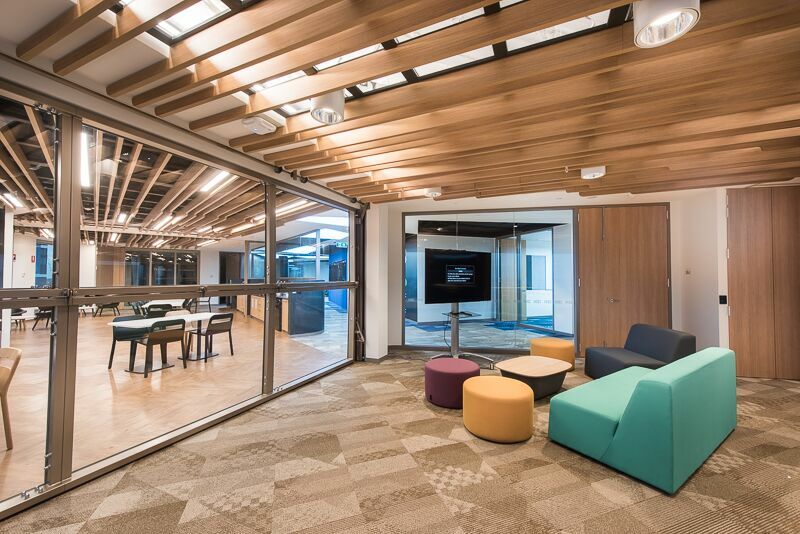 The large glass area kept the open feel to the office space while providing sound deadening between the spaces when closed. 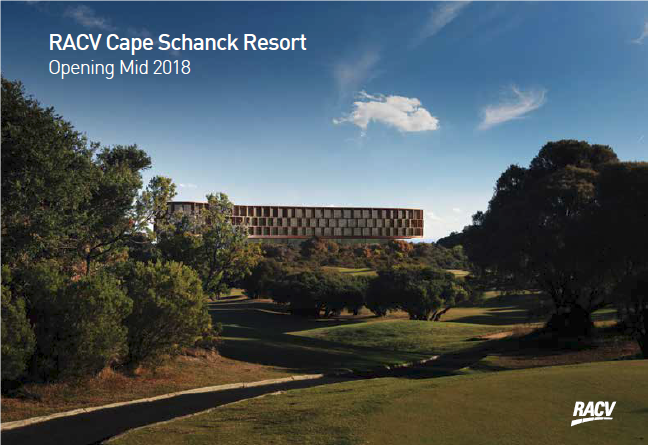 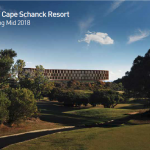 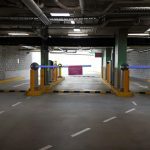 The redevelopment zone was an irregular shape comprising approximately 7.6ha and includes the existing RACV clubhouse facility, car park (110 spaces) and golf driving range. 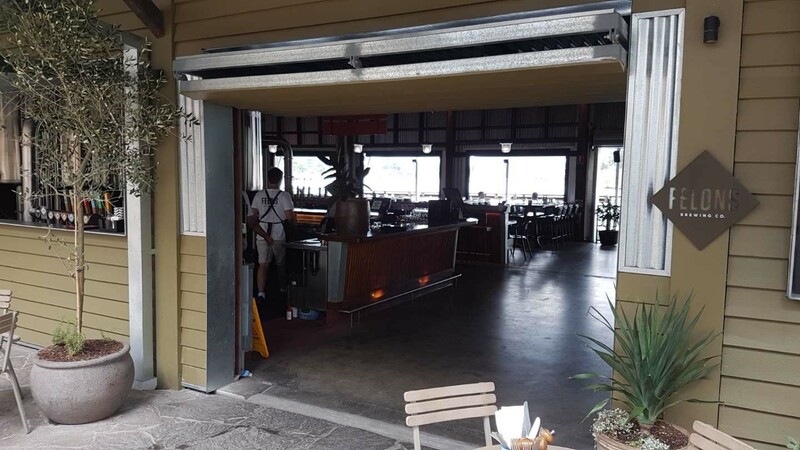 Mirage Doors were contracted to supply two large sliding gates for the main carpark entrance, two S1500 Bifold doors and a pedestrian door and cladding for the loading area, a S1500 Bifold door for the golf cart entrance, internal Aluminium Roller Shutters, two sets of swing gates, and cladding for the bike storage area.